We need you to take action right now. 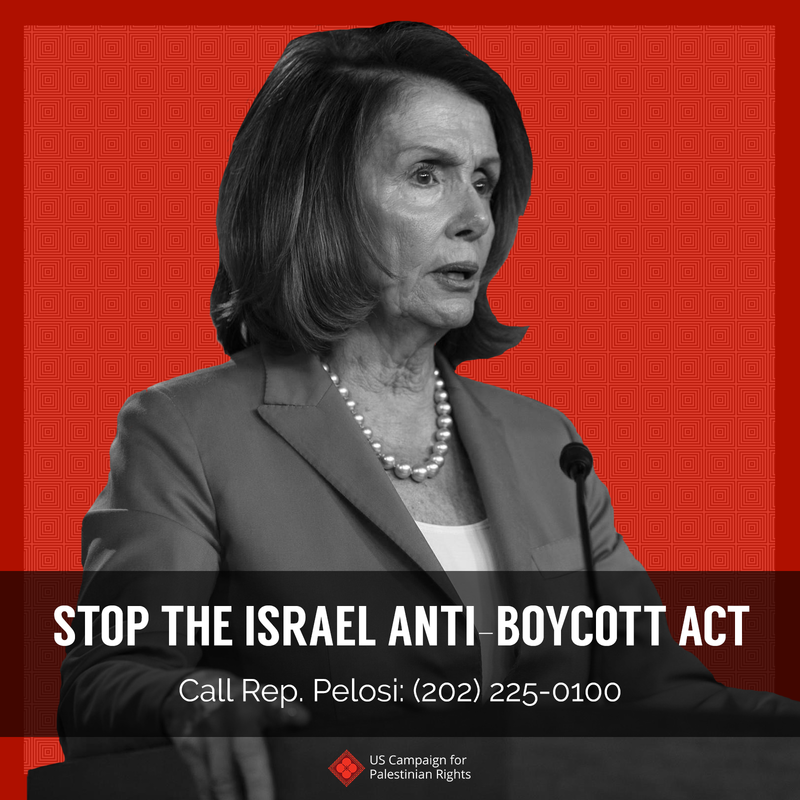 We just learned that Congressional leaders might include the Israel Anti-Boycott Act in the budget that Congress must pass before they adjourn for the year. The best way to stop this from happening is by putting massive pressure on Rep. Pelosi. Thank you for picking up the phone!